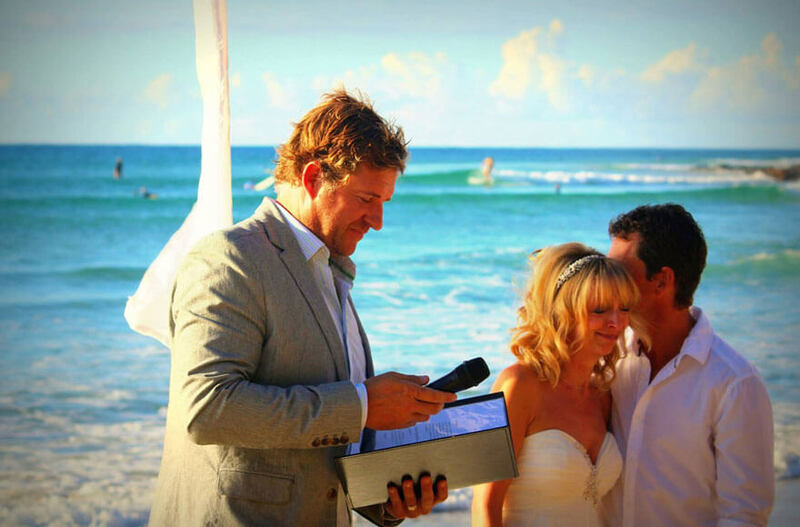 As a celebrant it’s really important for to me to tell your story at your wedding ceremony – you’ve bothered to invite a few people or heaps of friends and family to your wedding day. The wedding ceremony should always be about you guys – if there is one place to remind your guests about how this happened, how you two are taking the big step of getting married – it’s right now at the ceremony. I always ask couples to help me with ideas and details about ‘their story’ – I like these stories to be fun, real, funny, meaningful and true but I’m always looking for some heart and soul. Something that I can play with but mostly something that reflects you two in a positive light. Now this is not the type of story I’m usually looking for to present to your guests on your wedding day with your new spouse – how much of a tool your previous partner was has not much to do with your current wedding ceremony – maybe we can save that for small group talk at the reception. ‘Your story’ should have lots of heart and soul but most importantly have your guests’ thoughts and feelings centred on you and the commitment your about to make to each other. Let’s keep your story positive, optimistic and looking forward to the great things ahead in your marriage. If you enjoyed this blog post, please share it with a friend.